We want to share a recent customer story with you from EuroCloud. EuroCloud Europe is a pan-European non-profit organisation focusing on cloud computing. It fosters the development of a European Digital Single Market and has strong relationships with local governments and the European Commission. Welcoming eIDAS – What Regulatory Changes Do I Need to Make? eIDAS comes into effect across 28 EU Member States today. The regulation’s aim is to enable greater cross-border recognition of electronic Trust Services (eTS) and eIDs. 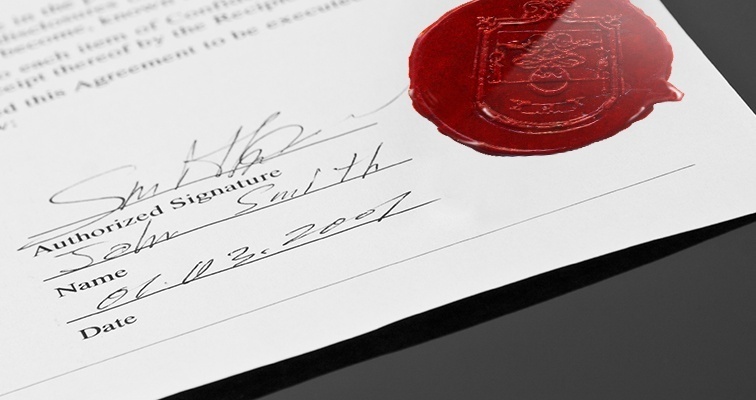 Implementing Corporate eSeals on business documents – the eIDAS Way! Corporate seals have been used by companies to protect paper documents from forgery for a long time. A document stamped with the company seal implied that it was officially from the company, i.e. the legal entity rather than a natural person such as the company director. There is a big change coming in terms of the legal recognition of electronic signatures in Europe. It's the new eIDAS Regulations, which will replace the old 1999 EU Directive on Electronic Signatures. To help you understand the new landscape we have put together a summary of what the new regulations promise in terms of making cross-border trusted communication easier and how we are ensuring our SigningHub platform remains the ideal vehicle for providing trusted online signing services.